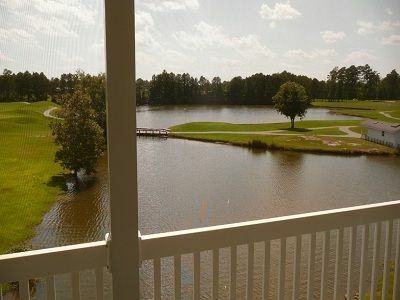 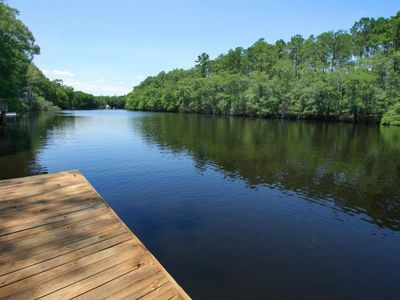 Enjoy The Scenic Waccamaw River From Your Dock And Porches! 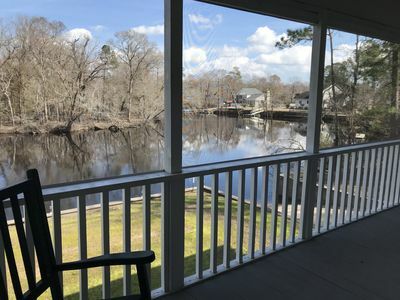 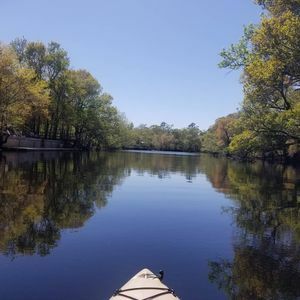 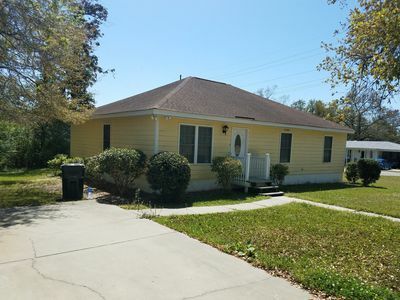 Our house is scenically located on the banks of the historic Waccamaw River. 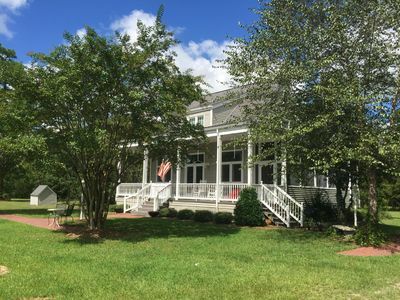 The house features a large dock, several porches and a boat launch in close proximity. 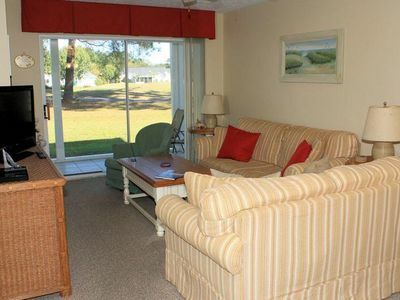 Our location offers boating, excellent fishing, kayaking, sunbathing, relaxing and swimming. 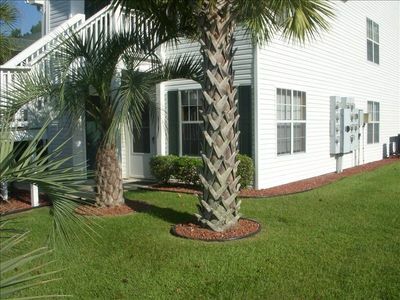 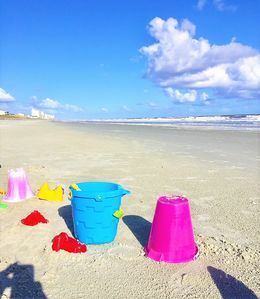 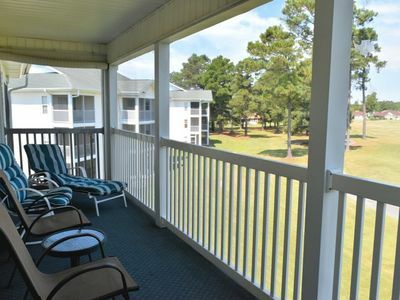 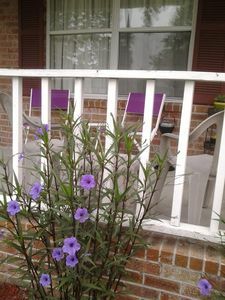 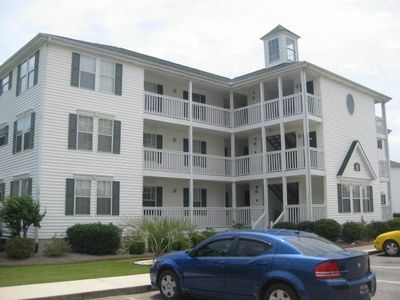 You can visit historic Conway in a short drive and the sights of Myrtle Beach while having privacy and beauty. 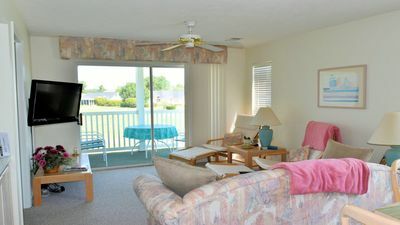 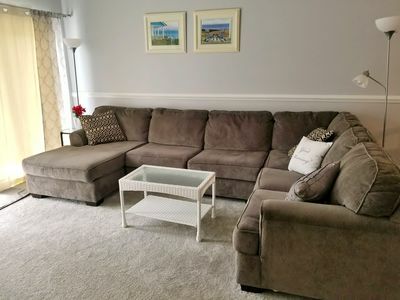 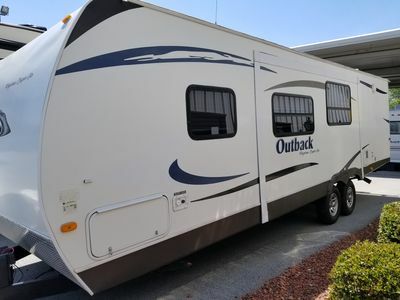 The upstairs living space includes two bedrooms (queen beds), a sun room with bunk beds (twins), two bathrooms, living area, dining area, laundry room (full size washer & dryer), full kitchen, and two large decks. 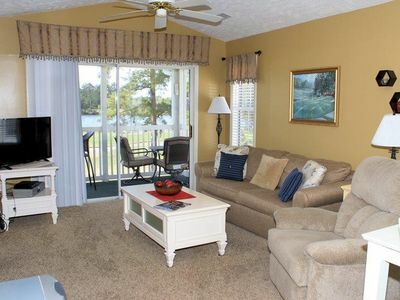 Downstairs features a large covered patio, over the water deck, and large dock. 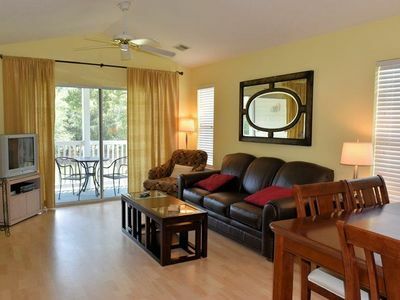 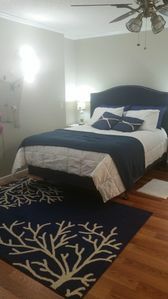 Where Luxury, Affordability and Pet Friendly Meet! 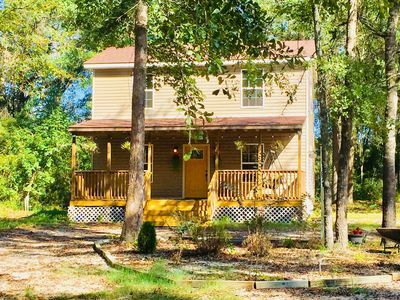 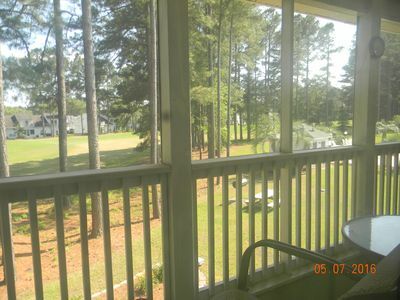 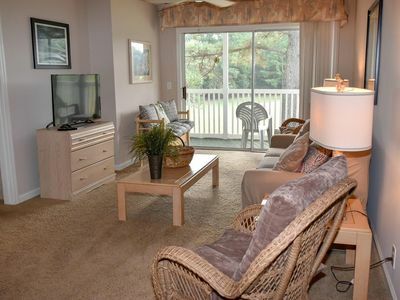 CABIN IN THE WOODS, just outside of Myrtle Beach and very close to CCU.